These are gently used, barely worn. I bought them from a friend who only used them a few times also. Read my full review of these way back when I got my first pair. 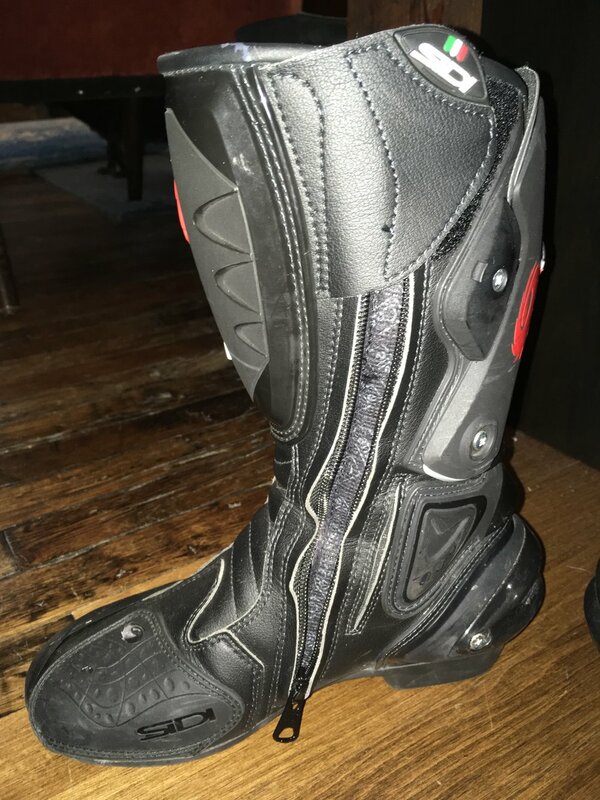 Also check out my post about riding motorcycles while short, because I use these along with special insoles to boost my height a little bit as well. These normally cost $275.00 new. I wanted to share this fabulous pic of my friend India, sporting a brand new Spidi Poison 2 Piece Leather Suit. It's the perfect 2 piece suit for your next track day, or day ride along your favorite twisties. Everyone should have a 2 piece textile, and a 2 piece leather in their closet. 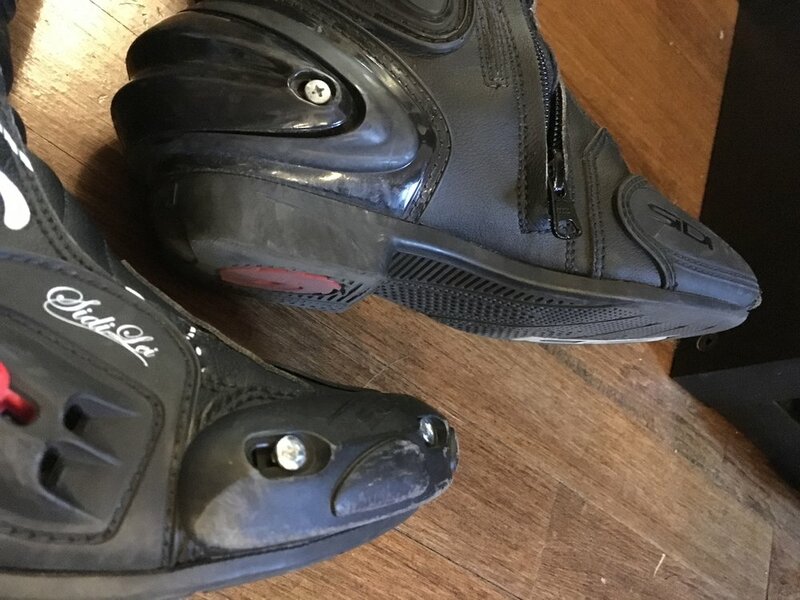 I would say that Spidi for the most part runs a little leaner, similar to Dainese in fit. I haven't tried this one on in person, but am very hopeful that we will have some Spidi gear in the near future as well.